Do you need a skip for a DIY project, garden clearance or just something to get rid of all your old rubbish? Our Ugly Drivers can help you out with skips to suit all job sizes. 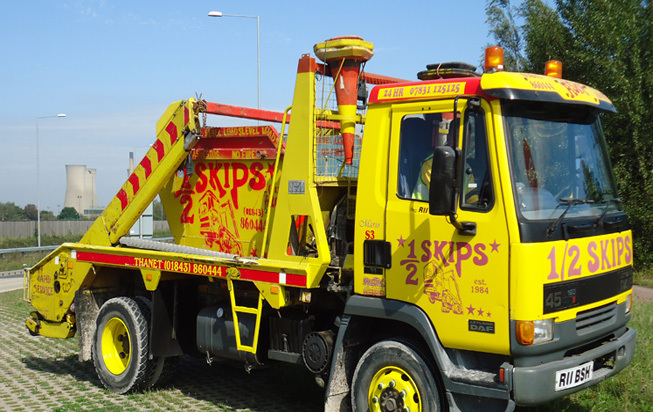 From mini skips to half skips, from builders skips to very large skips – you can give us a call on 0800 980 6663. You'll probably have lots of questions, so the best thing to do is give us a call and we'll do all we can to answer your questions and make it as easy as possible. WHAT ITEMS AM I NOT ALLOWED TO PUT IN THE SKIP? Your waste will be taken to our recycling facility in Sandwich and then hand sorted. Everything that can be recycled will. We can offer same day skips – call us on 0800 980 6663 to ask about availability.